The Massoth high performance pulsed smoke generator may be retrofitted in most G scale steam or diesel locomotives. It is powered through a direct connection to the track. 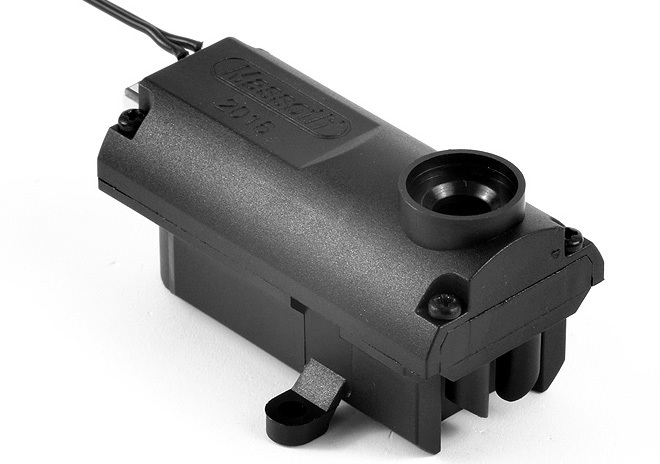 It draws very little current (0.2 - 0.5 Amps) and produces a remarkable amount of smoke. 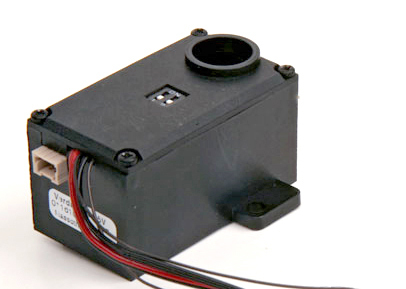 The smoke generator may be operated in either diesel or steam mode by setting a DIP-switch. In diesel model, the smoke generator produces a steady stream of smoke. In steam mode, the smoke generator produces puffs of smoke that are synchronized with the rotation of the locomotive's wheels. The synchronizing pulse may be generated by a wheel operated pulse generator or by the simulated pulse generator of a Massoth eMOTION decoder. The pulsed smoke generator is equipped with a fully integrated decoder that features a standard loco address and a separate programming address. The Massoth Cylinder steam module adds a cylinder steam feature to Massoth pulsed smoke generators with firmware version ≥ 3.0 (product #8413501 and #8413101). This heating element may be used as a replacement in Massoth's pulsed smoke generator for analog operation (product #8413101). This heating element may be used as a replacement in Massoth's High performance pulsed smoke generator 19V (product # 8412401) and in Massoth's High performance pulsed smoke generator for DCC (product # 8413501). Massoth's odorless and non-staining smoke and cleaning fluid is recommended for all Massoth and LGB® smoke generators. It is safe for all LGB® paints and plastics and can be used to clean LGB® trains and tracks. It is a smart replacement for the no-longer-available LGB® 50010 Smoke Fluid (250ml, plastic pipette included).